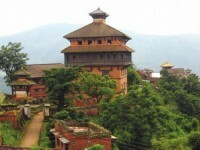 One of the oldest and reputed tour agencies in Nepal, Natraj Tours and Travels (NTT) was established in 1967 AD by the late P.P. Prasai, a pioneer in the development of the travel industry in Nepal, along with his wife Sharda Prasai. The company that handles personalized trekking, special interest tours, ticketing, safaris, white-water rafting, culture tours and incentives, meetings and convention events, etc. was taken to new heights by the experience and dedication of the founding members as well as the successors and the employees of the company. The company that also specializes in tours to Bhutan and Tibet has also started an outbound operation since 1994 with tours to Europe, India and China. The company established with the vision of making Nepal a dream destination aspires to make your journey and stay here “an experience of a life time”. The company is now managed by Shikher Prasai who has been highly acknowledged both nationally and internationally for his contributions to tourism industry in Nepal. He has also been awarded with PATA Face of the Future 2006 award and is the youngest Chairman of PATA Nepal Chamber. Dedicated to ensure the efficiency and effectiveness of its service, the company has also been recognized by The Government of Nepal, Ministry of Tourism and Civil Aviation. The company that has its own fleet of vehicles including cars, jeeps and several air-conditioned coaches is also a member of various national and international travel trade related organization including PATA, IATA and EVENTIA. A member of many national and international travel- trades related organizations, Natraj Tours and Travels is fully accredited by International Air Transport Association (IATA) since 1988, Nepal Association of Travel Agent (NATA), Nepal Association of Tour Operator (NATO), American Society of Travel Agent (ASTA), Japan Association of Travel Agent (JATA), Pacific Asia Travel Association (PATA) and EVENTIA which was also known as Incentive Travel and Meetings Association (ITMA) in Nepal. The services offered by the company include hotel accommodation, ticketing, cargo, cultural tourism, eco-tourism, customized incentive/ conference tour packages, botanical packages, wild life and jungle safaris, pilgrim tours, special interest tours, pioneer in Tibet and Bhutan tours, trekking and white water rafting. 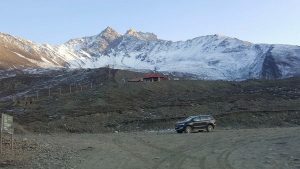 The company, over the years, has been able to expand its services in other areas of travel and tourism to its clients through its associated companies such as Natraj Trekking, Natraj Cargo and Nagarkot Cottage.